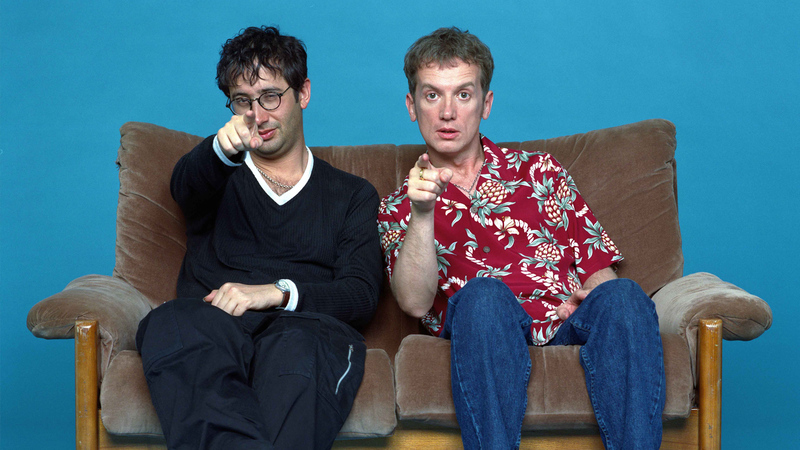 A light-hearted mixture of comedy, soccer and chat with celebrities competing against each other as managers of their very own dream team, hosted by DAVID BADDIEL and FRANK SKINNER. Guests include PATSY KENSIT, ELVIS COSTELLO, LENNOX LEWIS, PRINCE NASEEN HAMED, BRIGITTE NIELSEN and OASIS. Fantasy Football became a smash hit in the UK with ratings reaching 6 million – a record for comedy on BBC Two.